October 2, 2013 — Marilyn Sourgose from the City of Santa Clarita holds the severed head of Navy SEAL Lt. Chad McBride from Season 10, Episode 24 of "NCIS." The popular dramatic series from CBS shoots regularly in Santa Clarita. Also known by its full title, "NCIS: Naval Criminal Investigative Service," the series revolves around a team of special agents who conduct criminal investigations involving the U.S. Navy and Marine Corps. The concept and main characters were spun off from the former CBS series, "JAG," which also shot in Santa Clarita. "After Gibbs is held in custody by Department of Defense IG Investigator Richard Parsons, Vance calls on Rear Admiral A.J. Chegwidden to step in as Gibbs' lawyer. The presiding judge on the case gives A.J. a 48 hour window before the arraignment that may lead to Gibbs' arrest. A.J. and Gibbs head to a remote cabin built by Gibbs to escape from the IG sanctioned wire taps while the rest of the team rallies together to dig up dirt on Parsons. The team is stalled by the murder of Navy SEAL Lieutenant McBride, whose severed head is the only clue to the case. When the autopsy reveals that McBride was tortured, Vance goes to Homeland Chief Morrow for answers and learns that the CIA killed Arash Kazmi to make Bodnar the fall guy in order to distract the Iranian and Israeli governments. The distraction set the table for McBride to undergo a top-secret recon assignment. With Gibbs about to stand trial, Ziva resolves to take the fall for the accusations against him, with Tony and McGee following suit to turn in their badges with her. After Parsons' indictment against Gibbs is foiled, Morrow approaches Gibbs with an offer to drop all charges in exchange for his help in a dangerous investigation involving mounting casualties against Navy SEALS." 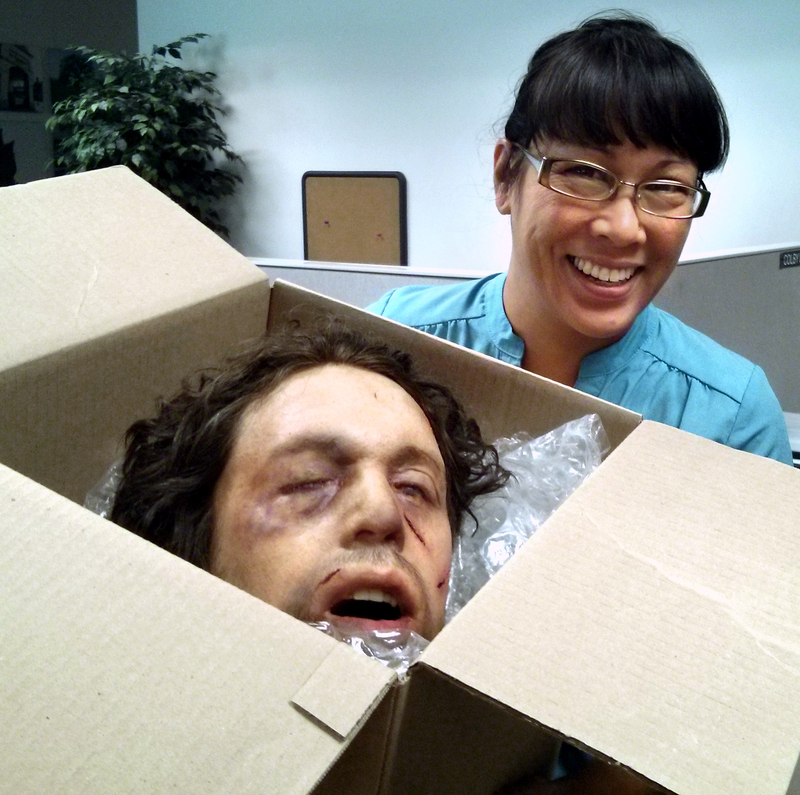 The mystery of the severed head continues to unfold in Season 11, which premiered Sept. 24, 2013. TV1302a: 19200 dpi jpeg from digital image by Austin Dave.